"The settled position in law is clear i.e. while puffery is permitted, disparagement and denigration is not". 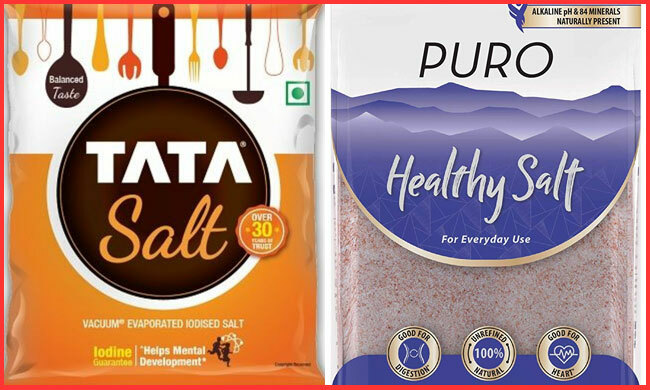 The Delhi High Court has passed an interim order restraining Puro Salts from publishing advertisements in print and electronic media disparaging Tata Salts, holding that negative advertisements to the effect that another product is bad and unhealthy cannot be permitted. The order passed by Justice Pratibha Singh in a suit instituted by Tata Chemicals Ltd. aggrieved by advertisements by the defendant, Puro Wellness Pvt. Ltd, alleging that the they directly disparaged Tata Salts. Tata contended that Puro embarked a "deliberant and consistent campaign" against Tata Salts by releasing three television commercials featuring a well-known actor with false propaganda, which was further carried through circulation of fliers/pamphlets containing objectionable content and online videos. It was alleged that the message that transpired through the advertisement is that Tata Salts is harmful for health and not consumable. The plaintiff stated that on the complaint made by it, the Advertising Standard Council of India (ASCI) recommended the defendant to modify the advertisement. However, the defendant challenged the order of the ASCI before the Bombay High Court without impleading Tata as a party, primarily on the ground that it was not a member of the said council and hence not bound to comply with its recommendations. The defendant refuted to the maintainability of the suit and urged that the plaintiff was guilty of forum shopping, since multiple suits were filed before distinct court for the same cause of action. Puro pointed out that Indian Salt Manufactures Association (ISMA) filed suits against the defendant in Gujarat with respect to the references to "white salt" in the advertisements. Regarding the issue of forum shopping, the bench of Justice Prathiba M. Singh referred to the apex court decision in Union of India and other v. Cipla Limited and Others and observed that the plaintiff was not guilty of forum shopping. The judge held that the suits by ISMA were distinct, and Tata's suit was on a specific, concrete and distinct cause of action. "While an association like ISMA can generally prefer a suit to prevent denigration of "white salt" as a class of products, the offending acts of the Defendant which initially commenced with the telecast of three offending commercials against white salt, expanding to a video, a pamphlet and a booklet specifically containing the TATA salt packaging, clearly affords the Plaintiff herein, which is the manufacturer and seller of TATA Salt a separate and distinct cause of action", held the Court. On an examination of the impugned advertisements, the Court noted that the message being conveyed was that white salt was made in chemical factories, and it was bleached, and it should be gotten rid of as it is dangerous for the health of the family. "The purpose is to clearly convince customers that white salt is dangerous for health. The said message is being conveyed by making references and allusions to TATA Salt", observed the court. "A comparison of white salt with poison is clearly meant to create panic amongst the consuming public and if allowed to be carried on unhindered, it can have a deleterious impact not just on the Plaintiff and its product, but also on customers, who could be forced to give up on the use of white salt, which is a basic ingredient in food cooked in almost every household in the country", the court proceeded to say. The court said that in an action of this nature, what is to be seen is the "statutory rights of the Plaintiff, the dominant purpose of the impugned material, the effect of the same and the message sought to be conveyed". Referring to the division bench decision of the Delhi High Court in Colgate Palmolive Company and Ors. v. Hindustan Unilever Ltd. 206 (2014) DLT 329, the Court held : "The settled position in law is clear i.e. while puffery is permitted, disparagement and denigration is not". The Court held that the intention of the defendant was not to promote its product but to call white salt in general, and specifically TATA salt, dangerous, as it is made in a chemical factory and is bleached. and by comparing it to poison. "Advertising has to be viewed from the point of view of a lay customer. The protagonist in the television commercial is a well-known actor who is known to the viewing public. The impugned advertising material has been circulated widely. A common man cannot discern the difference between the salt being manufactured in a chemical factory and soda ash being a by-product in the process of manufacture of salt. Such nuanced differences cannot be communicated to the public and the chances of consumers being misled is very high". "The TATA brand has earned an iconic status. TATA Salt was introduced by the Plaintiff and was recognised by the Government as one of the products meant to eliminate iodine deficiency. It was promoted as "Desh ka Namak Tata Namak" and has a large customer base. The swathe of population which has consumed and continues to consume a product such as TATA salt cannot be led to believe that they were consuming poison or a dangerous ingredient, without there being irrebuttable proof for the same. Upholding the Defendant‟s right to make such statements would mean that the regulatory authorities have turned a blind eye to poison being sold, which is also clearly unacceptable".